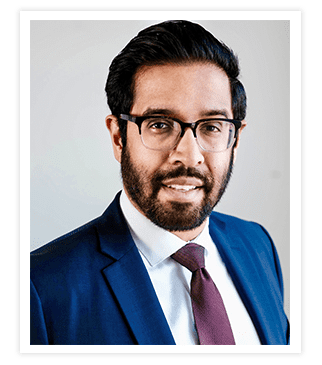 Jay Bhuta, DPM, is a podiatric surgical expert at Ankle & Foot Doctors of New Jersey located in Millburn and Livingston of New Jersey. Dr. Bhuta specializes in both conservative and surgical treatments of ankle and foot using the most advanced tools available. He values his relationships with his patients and spends the time necessary listening to and educating his patients to help them feel more at ease about their ailments. Dr. Bhuta may focus on the ankle and foot, but he knows that each of his patients has very unique health care needs, and he designs a personalized treatment based on those needs. Dr. Bhuta treats a number of ankle and foot conditions including foot and ankle fractures, Achilles tendon ruptures, ankle sprains, bunions, hammertoes, neuromas, drop foot, foot and ankle arthritis, rheumatoid arthritis, Charcot arthropathy, high arch, and flat feet. He also provides foot and ankle care for people with diabetes and cerebral palsy. Dr. Bhuta specializes in foot and ankle injuries, including sports injuries and reconstruction. Dr. Bhuta has trained in the United States and internationally, which allows him to bring a different perspective to his patients. He received his doctorate of podiatric medicine from New York College of Podiatric Medicine in New York City and completed his residency and training at Saint Barnabas Medical Center in Livingston, New Jersey. Dr. Bhuta is the Residency Director at Saint Barnabas Medical Center where he is responsible for training all the residents. He is very active in their education and is on top of the most current technology and treatments. Tier 1 for BCBS Omnia plan. We accept many insurance plans. Please call the office to learn more about insurances accepted.